Nintex Workflow 2013 - How do I upgrade? Nintex Workflow 2013 released a few days ago, so many people keep asking questions about migration. SharePoint 2013 comes with 2 workflow engines: The 2010 and 2013 one. The 2013 engine is based on the Workflow Foundation 4.0 - so it's completely new. The first Nintex 2013 version is based on the 2010 engine - the workflows should run without additional work. Later in 2013 a new Nintex Workflow 2013 update will come, based on the 2013 workflow engine. With that release Nintex will also offer a converter. Upgrading seems to keep simple with Nintex! I noticed 4 problems when installing Nintex Workflow Preview. 1. Don't log on to the SharePoint store using the System Account - I know I should have never tried that. :-). You get strange errors. 2. Check your IE Settings when you get the message "Only secure content is displayed". You should enable "Display mixed content"
You will find it under "Internet Options" -> "Security" -> "Local Intranet" -> "Custom Level"
3. When you get an error message like "Microsoft.Workflow.Client not found" try to restart your IIS. After azure workflow Installation you should do an IIS reset. 4. When you start a workflow, but you get unauthorized exception you may want to check if your User Profile is configured! It is not easy to get your workflows up and running, but it is worth it! This is part 3 of the series "SharePoint Workflow Basics". This part will briefly describe the various ways to build SharePoint Workflows. It will cover "Out of the box", SharePoint Designer and Visual Studio workflows, but also third party products of partners such as Nintex and K2. K2 released its new K2 smartforms. This product provides you with a new way to build and assemble forms-based solutions using a browser based design environment. For more information check out the following link which provides a few good videos which demostrate the capabilities of the smartforms. This is the second part of the serie where we focus on how InfoPath and SmartObjects technology can be used together to build eForms that integrate with a K2 workflow. You can find it in the newly opened SharePoint Store. Nintex is planning to release the Nintex Workflow 2013 near the release of SharePoint 2013. We will keep you updated about the new features. This article describes how to install the Sharepoint 2013 workflow (Azure Workflow) on your development/demo machine. Please not that although it is called Azure we can install it on premise. If we don't install the Azure Workflow, we only have "SharePoint 2010 Workflow" platform listed! For those who are wondering if it is possible to install it on the same machine as SharePoint - Yes you can! I recently upgraded a K2 Blackpearl environment from version 4.5 to version 4.6. Here I want to outline me findings in case someone runs into similar issues. The SharePoint 2013 Preview is available. We will launch our new series about the workflow enhancements within the next days. The first chapter of this series explained the difference between a workflow and a process. This part will explain the main capabilities of Visio Services. In a recent project I was confronted with an issue when I tried to publish a workflow with lots of UDAs in it. It was driving me crazy and at first I couldn't figure out what the issue really was. After a few conversations with the Nintex Support Team (thank god, they are just downstairs ;) ) and looking into the SharePoint log files we found the error. A search in Google quickly revealed what the problem and the potential solutions are. I blogged about this on my other blog, ProjectPoint, so please refer to the post "Nintex Workflow 2010 – Workflow not Publishing" for a description of the problem, the cause and potential solutions. If you want to get your permissions right, you have to know under which user context a workflow runs. Basically that user is always the one who started the workflow. Not the one who designed the workflow or who last interacted with the workflow (e.g. the approver)! As you may have noticed, this post is longer than 3 lines, so there are exceptions to this rule. While designing your workflow you have to select custom credentials for some activities to use. For example a web service call. Of course we don't want to allow every user who starts the workflow to have access to every LOB system. Other actions e.g. "Create List" run in the workflow initiators context by default, but you can optionally choose different credentials. This is a great feature and helps a lot to limit your users permissions. One of SharePoints default group is the member group, which allows users to start workflows and to edit items. But they are not allowed to manage permissions - we don't want every editor to mess up our security concept. Unfortunately that is often a requirement. Think of a workflow that starts with a form to be filled out by any user and is submitted for approval. (Could be any form in your company). After the manager approval we don't want the document to be modified anymore. So we build this workflow, initiate it as a normal user and it works! No access denied happened! Manage Permissions is a Nintex activity (in Nintex there are SharePoint Designer and Nintex activities) and it is designed to run with elevated privileges by default. Unfortunately I don't have a complete list of all those activities. If anybody got a list of those activities please mail them! Exception 3 - Run with designer credentials. 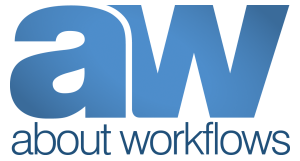 Some activities allow you to select the workflow designer as the executing user. This is also a SharePoint Designer feature. I have to say, that I am not a big fan of this, because it might easily get you in trouble. It is exposed to the UI through a checkbox, which can be found in many actions. It might be of special interest in the "Action set" activity. They run as the user who last created/modified the schedule. Attention: Please note that we are talking about Nintex Workflows 2010. Please refer to this document for differences between NW2007 and NW2010. After years of working with and teaching Nintex Workflows I made a list of important things that are not obvious, but serious Nintex designers should know. So here it is: A series of "Good to know" things about Nintex. To start with I would like to write about Dehydrating! You want to pause your workflow for 5 minutes, but instead it pauses longer than expected, maybe 7 or 10 minutes! The workflow doesn't continue after a pause for action! So it is not doing anything, but waiting for 5 minutes and writing a history entry. Where is the custom log entry? 10 minutes later, but nothing happened! When we use a activity like "Pause for" the workflow is dehydrating. Which means that it is going to sleep. It is no more stored in process memory, but in the database. So how do we get it back running? We go to Central Administration - Monitoring - Review job definitions and we search for the timer job called "Workflow". For this demo I disabled it. So now I am going to run it. It will search for dehydrated workflows and. if required, start them. The default value for the timer job is to start every 5 minutes. So that would mean, if we pause our workflow for 5 minutes that could be 10 minutes in the worst case. Please leave a comment if you have further questions.